Weight loss can be summed up in one simple equation. Healthy Weight Loss is not a weight loss plan per se. 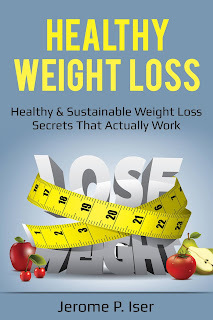 However, when reading it you will learn a plethora of secrets and tips that actually work in helping you understand and successfully manage this weight loss formula. Food and exercise are the two variables that affect most directly, the intake and burn. In this book you will lean how you can establish and sustain good balance of these variables. The basics of weight loss is very simple. The problem is that most who seek to lose weight fail to establish a routine that will adequately manage their intake and burn. Or if they do, their routine is not sustainable. In this guide I give the secrets to do just that. This book is a must read for beginners and seasoned alike. For beginners it will help you establish weight loss plans on a sure foundation for long term success. Seasoned weight losers will be able to adjust their plans for maximum and sustained success.